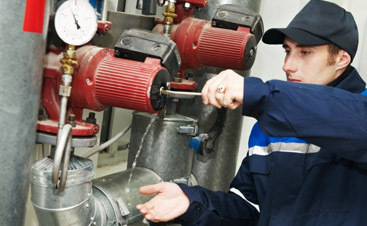 Keeping those within your facility healthy is paramount to staying in business. Your HVAC system carries the majority of this burden, so keeping it running smoothly is incredibly important. 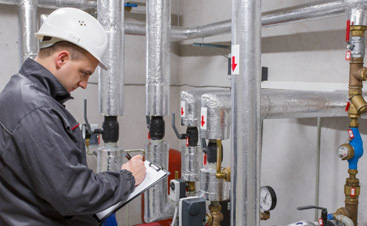 At the Valley Mechanical Corporation, we have decades of experience with HVAC systems, and there are a few common signs that consistently indicate the need for commercial HVAC service. If your system just doesn’t seem to be accomplishing the same work as it did before, there are quite a few things that might be going on. Fortunately, chances that you need a whole new system are slim. It is more likely that your evaporator and condenser coils need to be cleaned. It may also be that your dampers are not functioning properly. Contact a professional to take a look. If you are experiencing odors or bad indoor air quality (IAQ), it is time to call a professional. You could be experiencing symptoms of an issue as simple as a dirty filter or serious as a gas leak. Sometimes parts overheat or debris gets pulled in onto the heat exchanger and melts. A preventative maintenance program will make situations like this a non-issue! If temperatures are varying from room to room, you may have cracks or holes in your duct work. You will also see odd jumps in your energy bills. Your system can lose up to 40% of HVAC-produced air, but this can be remedied by fixing leaks. Signs of leaks include sagging or separating duct work. If your ducts are insulated, look for dirty spots on the insulation. Let us help keep your building comfortable and your people healthy. 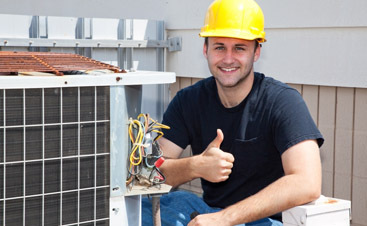 Contact us for premier HVAC service in San Jose today!